It's been a while since I did a nail post so I rummaged through my shoe box of polish that I accumulated last year and found this paint colour to colour my nails with. Sunny side is a cheery coral pink with fine flecks of gold shimmer. It is even more eye catching in the sun as the gold shines through even more. It brings a smile on my face everytime I look down at my nails when I have this shade on. As previously reviewed, Rimmel's 60 Second formula is fast drying and easy to apply but thankfully this bottle comes with a Pro-cision brush rather than the wide flat brush, which I didn't care much for and had some trouble achieving a even application with. RRP A$7.95 at Priceline, Target, K-Mart and selected pharmacies. What colours do you like to wear to cheer you up? Do you find painting your nails therapeutic? 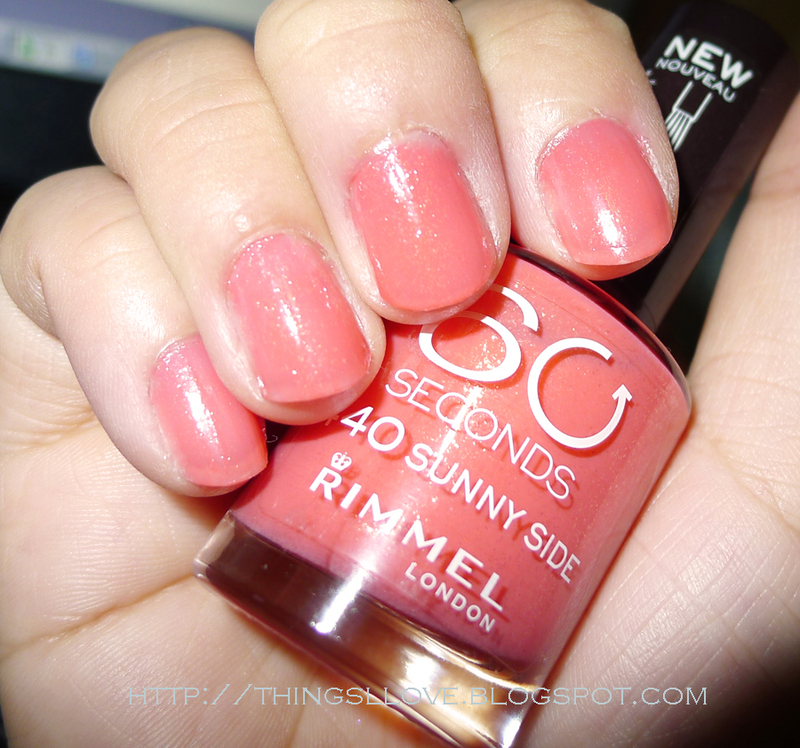 This looks like such a gorgeous, summery colour! Movie date day/night went ok - but no sparks there I don't think - the search continues. Shade looks great, right up my alley! Will have a look over the weekend at this one, thanks for the recommendation.